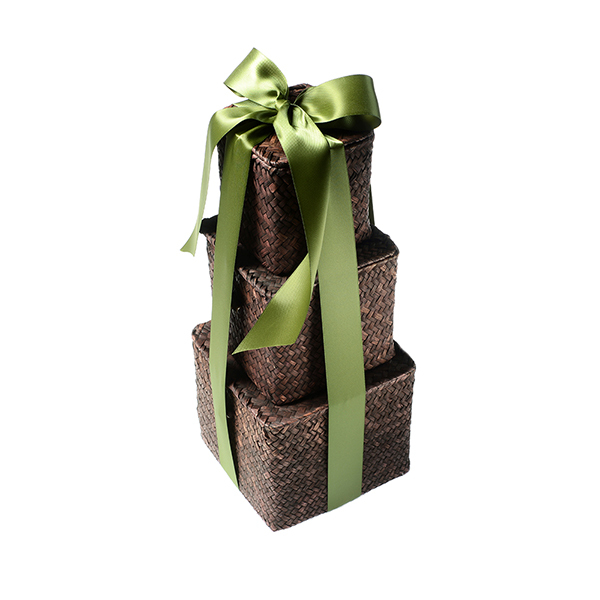 Tempt the gourmant with Fastachi's earthly delights: divine chocolate truffles and Fastachi hand-made chocolate bark alongside Fastachi's sumptuous fruit passion mix. 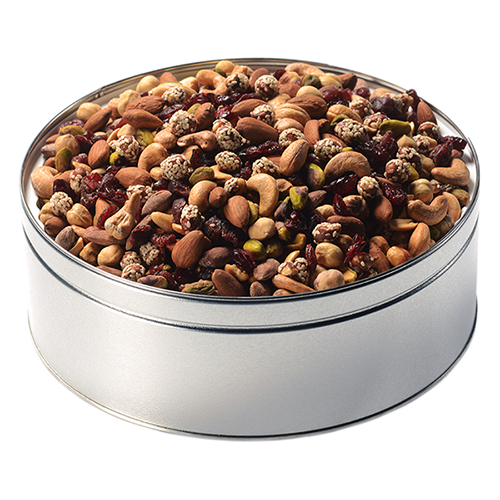 And finally let them savor Fastachi's finest - our signature Cranberry Nut Mix. These treasures are amassed in a trio of elegance. Bought this as a gift. My recipients devoured all the deliciousness. Everything was fresh and yummy and the packaging so pretty! Fast shipping too! I sent this to my mother who raved about the beautiful box and bow as well as all the treats. She said that while all the goodies were delicious, the fruits were especially good. This gift was definitely enjoyed by all for the holidays. The recipient actually took their picture next to the gift tower when it arrived and posted it. 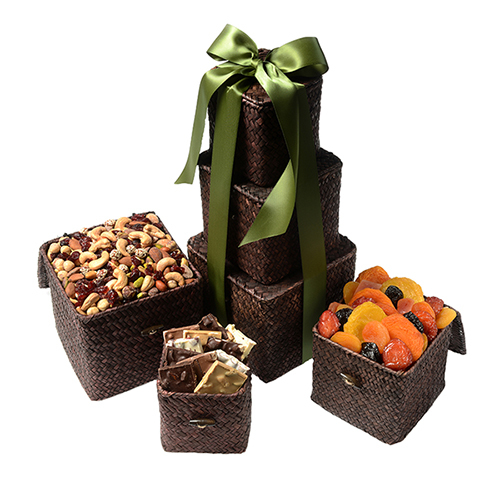 With chocolates, dried fruit, and nuts, it was a holiday treat with something for everyone. This has become my go-to gift for friends at the holiday season. After being introduced to Fastachi by my daughter who lives in Boston, I am totally hooked! 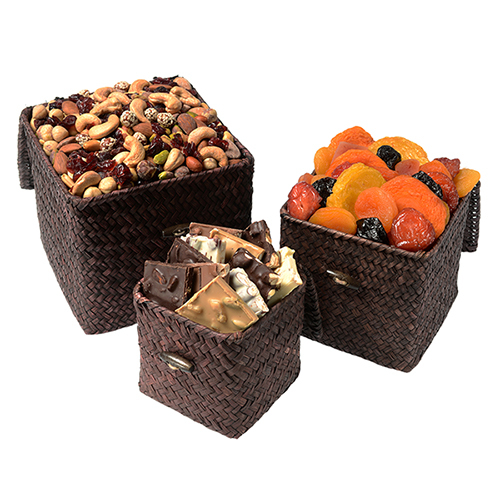 Quality of nuts, dried fruits, and chocolates is outstanding! Customer service is the best - extremely accommodating. This tower of goodies was enjoyed by all!! The recipient could not stop talking about how wonderful the gift was. The presentation and the delicious assortment was a definite hit! Thanks, Fastachi! A+ - my friends loved it and said that Fastachi overall was highly recommended. Great product. I often get this as a gift for others. Consistently the recipients say they were so pleased with the appearance (very artfully presented) and rave about the amazing chocolates and nuts! My recipients (4) couldn't stop talking about the wonderful treats they enjoyed. They were all thrilled with the quality & the presentation. Definitely worth it! I sent the gift tower to a client. 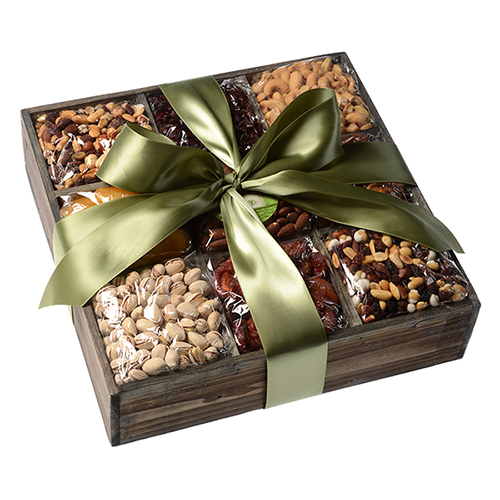 They couldn't stop raving about how beautiful the presentation was and how delicious the nuts and candies were. They sent several pictures of them enjoying the gift! Thank you! 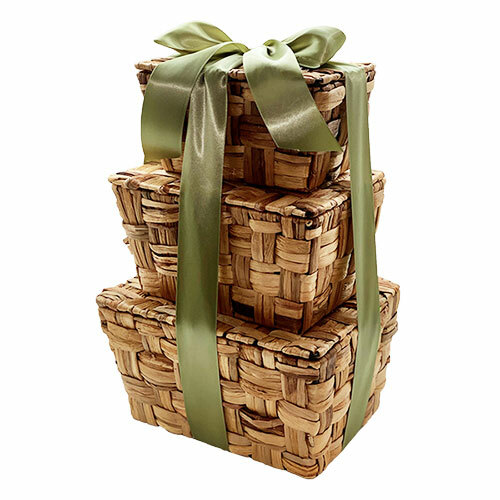 We will be sending your gift baskets to all of our clients next year.